I often get asked about vegetarian freezer meals. Sometimes people think of freezer meals as all being made with ground beef or chicken. 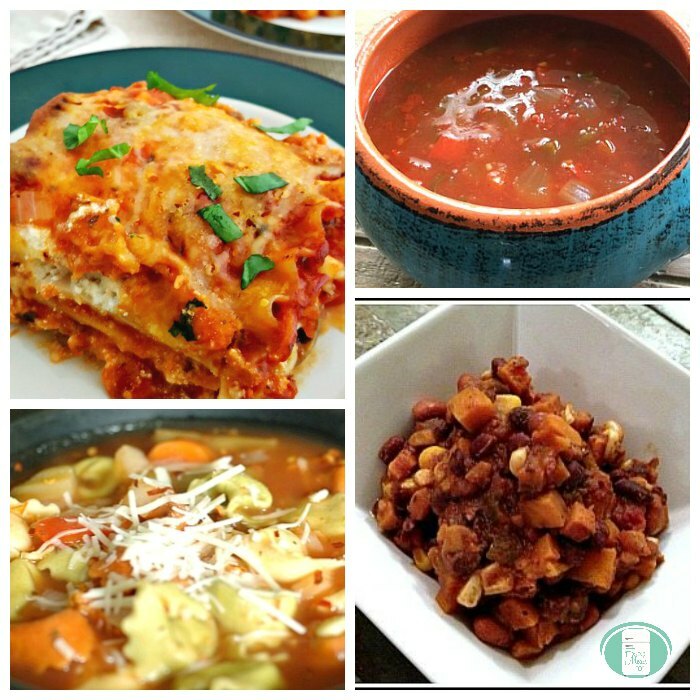 There are lots of delicious vegetarian recipes out there that are freezer friendly. In fact, it’s a little known truth that I haven’t eaten beef in over fifteen years. Yes, I’ve written a cookbook of Beef Dump Recipes! That may sound hypocritical, but I have eaten almost all of the recipes in that book and those that I haven’t, I have made for my family and let me tell you; they give honest feedback on what I cook! The reason I’ve been able to eat most of the meals myself is that I substitute a soy ground round (Yves brand) for the ground beef. I prefer to cook it up first even though it’s already cooked. I find the texture better that way. My favourite is the Mexican. It goes so well in things like taco meat, Spanish Rice, and the Tex Mex Pasta Bake. The soy ground round freezes beautifully. 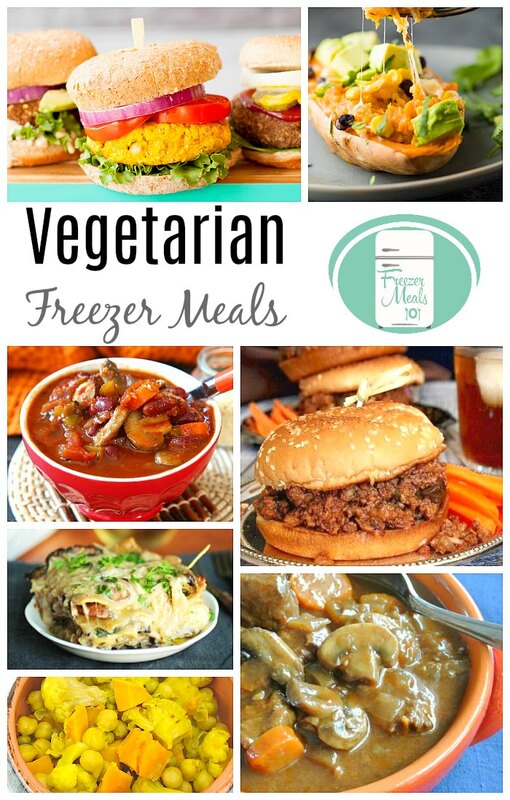 If you’re wanting to make vegetarian freezer meals, you can use any of our ground beef freezer meals and substitute the soy ground round or you can find some already vegetarian recipes to freeze in the list below. Garden Veggie Freezer Burritos from Oh My Veggie – These are great for lunches or after school snacks! Veggie Burgers from Wholefully – You’ll find recipes for Spicy Black Bean Burgers, Lentil Walnut Burgers, and Roasted Sweet Potato and Chickpea Burgers here. I think the most difficult part might be trying to decide which to try first! Mushroom and Spinach Lasagna at Life as a Strawberry – This looks so darn good! Vegan Chili with Mushrooms on Vegan in the Freezer – It says it’s “the best” vegan chili ever, so worth trying for sure! Crock Pot Tortellini Soup from The Chaos and The Clutter – Sub out the chicken broth for vegetable broth. Our Vegetarian Freezer Meal Plan takes the guess work out of stocking your freezer. It includes some of our most popular recipes along with shopping lists, prep lists, and printable labels.